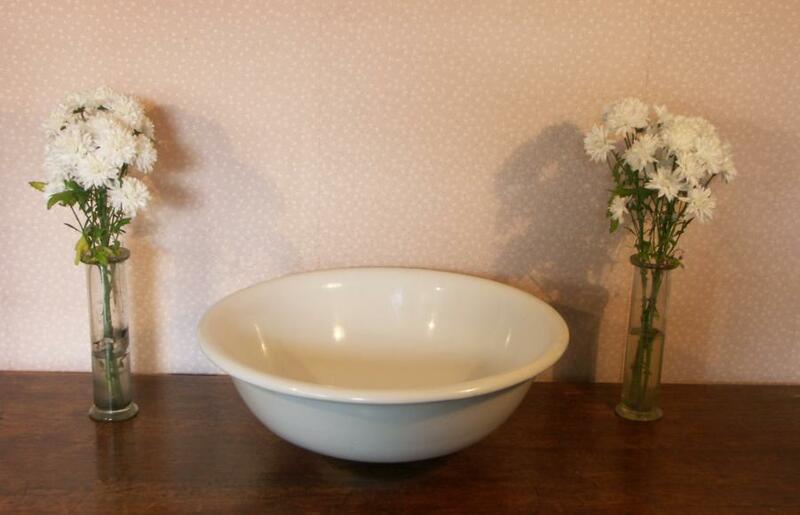 An unusually large victorian circular washbasin in plain white glazed ceramic. 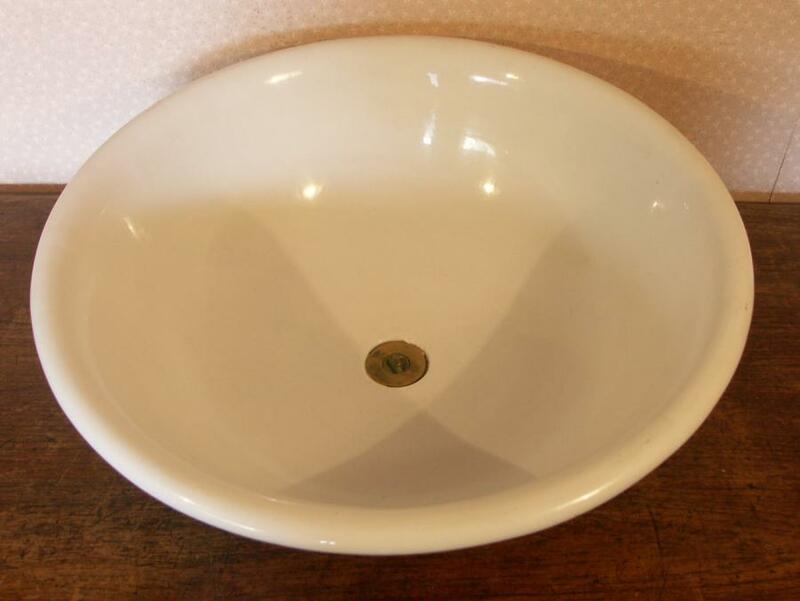 This would make an excellent bathroom washbasin as it has a threaded outlet and can therefore be plumbed in.Great shape and scale- 21 inches diameter and 7 inches deep (not including threaded outlet) with a flat base 6.5 inches wide so it will sit nicely. 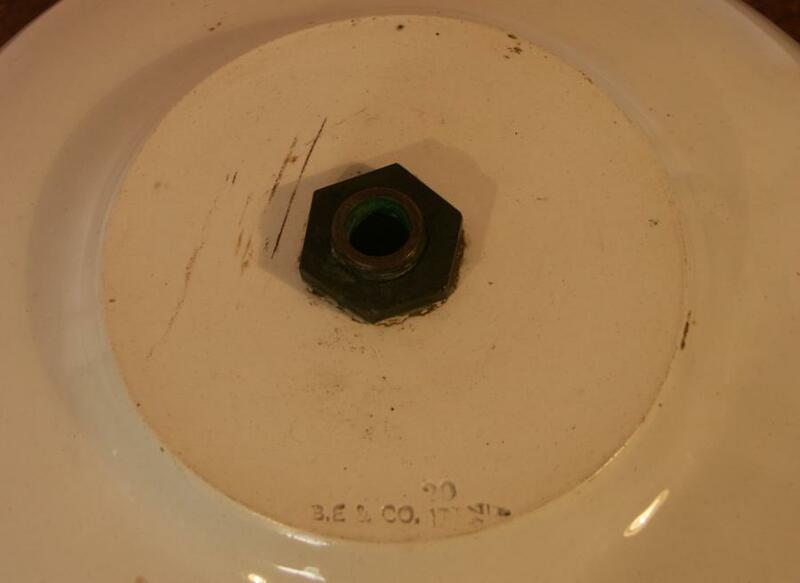 No damage,excellent condition,with original brass plug.